A romantic kiss in front of a vintage airplane. Romantic travel plans at Porter County Municipal Airport. 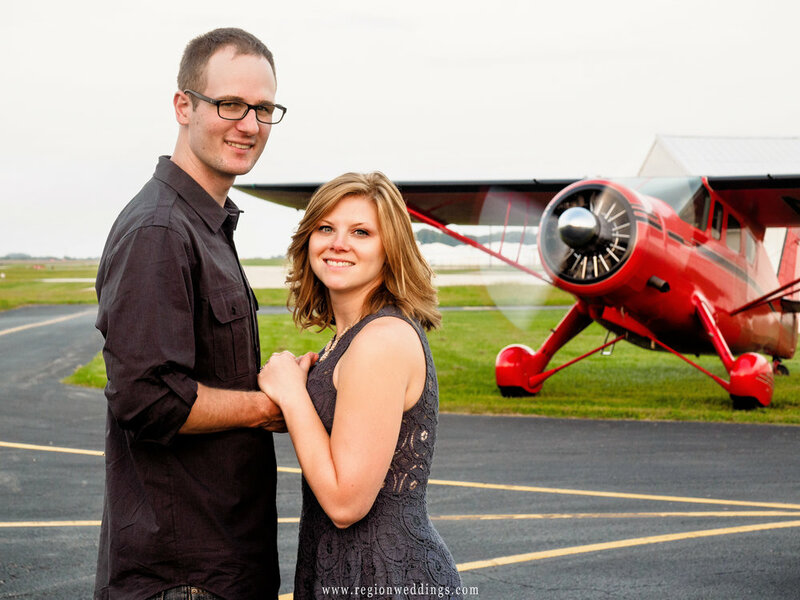 Romantic engagement photos at Porter County Municipal Airport in Valparaiso, Indiana. A young couple in front of a vintage airplane with it's propellors spinning. The groom to be dips his bride to be on the tarmac at Porter County Municipal Airport. The sun sets over the airplane hangar in an aviation themed engagement portrait. I hope you have enjoyed this sneak peek look at Emily and Todd's engagement session at Porter County Airport in Valparaiso, Indiana. Stay tuned to social media channels below for more images. To inquire about your wedding date or an engagement session, please fill out the Contact Form here.